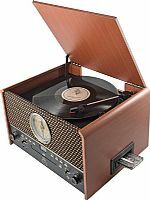 The Chesterton, with its vintage style, is a music centre that isn’t just beautiful to look at, it also sits right at the heart of your music collection. 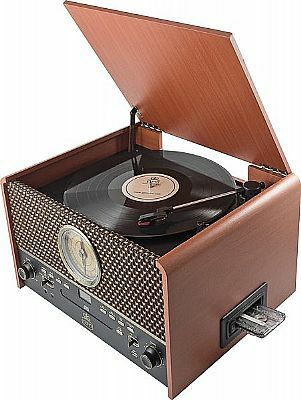 Underneath the wooden lid, is a three speed vinyl turntable with playback. 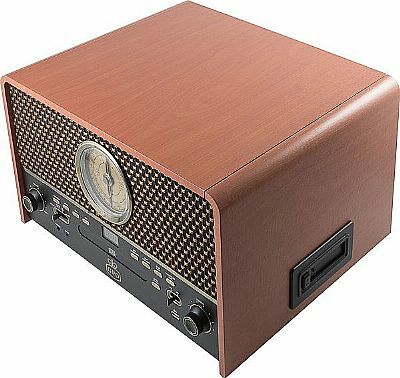 The vintage-style grille hides built-in speakers and an FM radio with analogue tuning. There are two jacks, one for an aux-in to plug in speakers and an aux-out jack for headphones. 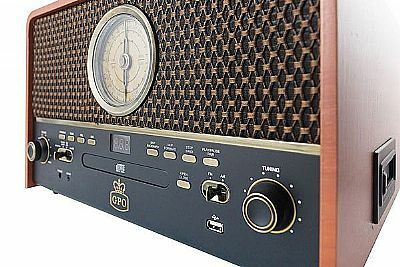 The Chesterton also features a CD player with cassette and radio, as well as a USB port, meaning you can record all of your music onto a USB stick whatever your media type. A great mix of new and 'old' technology & styling. Attractive looking piece of music - furniture.